decoys gave the appearance that this site was colonized. These decoys are highly-detailed at 7″ long and weighing 1.5 oz. the end goal of increasing martin populations throughout North America. at Lot #1! Yesterday evening, I discovered the first egg prior to leading a Newburyport Birders’ evening walk. 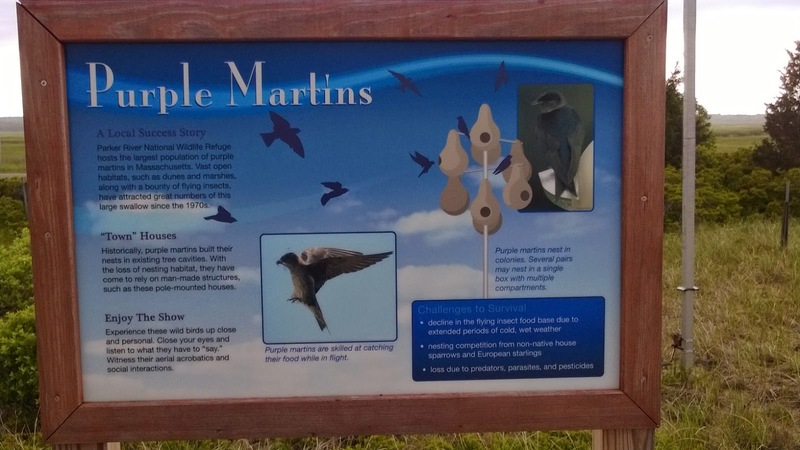 The Purple Martins at the colony at the North End of the island are incubating eggs! Newbury’s Lynette Leka is shadowing me again this breeding season – I so look forward to her assistance. Once we have young in the nests, I’ll be sending an email invitation to an open gourd visit. Thanks for supporting this human-dependent songbird!